We screened 2392 papers and included 14 primary qualitative studies in the synthesis. 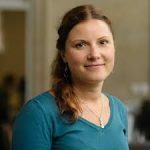 Veronika Williams is a Senior Researcher at the Centre for Evidence Based Medicine, University of Oxford and Course Director for the DPhil Evidence Based Health Care programme. Instead, we should consider individually tailored approaches to support long-term behaviour change, taking into account patients’ existing routines and beliefs, as well as external factors, such as access to activity maintenance programmes. Health care professionals can play a key role in providing on-going support and encouragement, through continued contact with patients. This may be supplemented by harnessing the potential of digital health apps to monitor and provide feedback on patients’ improvements. Robinson, H., Williams, V., Curtis, F., Bridle, C. and Jones, A.W., 2018. Facilitators and barriers to physical activity following pulmonary rehabilitation in COPD: a systematic review of qualitative studies. NPJ primary care respiratory medicine, 28(1), p.19. This study was undertaken as part of H. Robinson’s PhD thesis and the authors declare no conflict of interest.